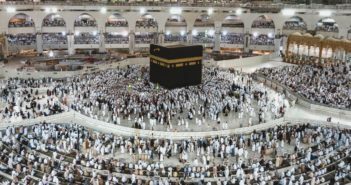 What is the fundamental object of Christian mission to Islam: total displacement, fulfillment, dialogue, or something else? How do we evaluate other religions such as Islam, and how does this evaluation affect our approach? Is there anything within Muslim culture that provides a valid starting point for evangelism? Part one of Schlorff’s work provides a brief but helpful review of six historical models or approaches taken by missionaries to Muslims. These range from the nineteenth-century imperial model to the dynamic equivalence or translational model prevalent today. In addition to a brief description, Schlorff defines the key elements of each model and notes strengths and weakness. In the second part, Schlorff more closely examines some of the methodologies and tools of these models. For example, his discussion of approaches to use of the Qur’an occupies three chapters, culminating in the “new hermeneutic,” which views the Qur’an as in some sense revelatory. Schorff finds much that is problematic here. This section concludes with a consideration of the C5 or “dynamic equivalent” approach to church in ministry to Muslims. Schlorff briefly discusses the history of its development, the three basic theories behind the model, and mentions many of the key contributors to the debate. Schlorff clearly views gospel proclamation as primary in mission, even though he finds an element of truth in Bosch’s objection that evangelicals wrongly avoid socio-political involvement. 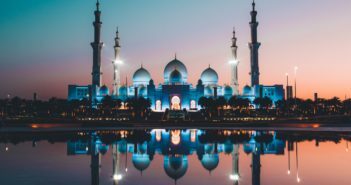 In regard to Islam specifically, Schlorff suggests that in light of Muslim misunderstandings about Christian mission, we should adopt the kingdom of God as a central theme in the formulation of our mission objective. This is an interesting proposal, especially given the fact that advocates of highly contextualized approaches–to which Schlorff would strongly object–have adopted this theme as their paradigm for Muslim ministry as well. When it comes to theological evaluation of other religions, Schlorff takes a negative position, largely agreeing with Reformed Dutch missiologist Johann Bavinck, who emphasizes non-Christians’ repression of the truth which Paul speaks of in Romans 1. Rejecting the claim that certain biblical passages provide justification for starting with the Qur’an (such as Mt. 5:17; Jn. 1:1, 14; Acts 17:23, 28; and 1 Cor. 9:22), Schlorff concludes that the Bible is the only valid theological starting point for evangelism, not the Qur’an or Muslim culture. This is not to say that all reference to the Qur’an is off limits, but the purpose and manner must be carefully considered. Next Schlorff critiques the “synthetic” approaches to Qur’anic interpretation which seek to bring its perspective and that of the Bible closer together. He concludes that no biblical evidence suggests such an approach, and offers principles to guide the interpretation of both the Qur’an and the Bible. Missiological Models in Ministry to Muslims concludes with an overview of Schlorff’s “betrothal” model (2 Cor. 11:2-3), a combination of the author’s approach to mission, theology of religions, the theological starting point, cross-cultural interpretation, and church strategy. A lengthy appendix describes a U.S.-based ministry consistent with the betrothal model, Church Without Walls, founded by Dr. Anees Zaka. Missiological Models in Ministry to Muslims offers helpful and thoughtful reflection on critical aspects of ministry to Muslims. Schlorff rightly notes that our understanding of the basic objective of mission and our evaluation of religions will inform our approach. And in reaching his own conclusions on these questions, Schlorff demonstrates a clear allegiance to biblical priorities, patterns, and emphases. For example, while highly contextualized approaches focus on ambiguous biblical references which supposedly indicate that God is somehow at work in other religions (Melchizedek, Naaman, Balaam, etc. ), Schlorff follows the strong biblical emphasis on man’s repression and suppression of truth. Also helpful is Schlorff’s discussion of key passages that are often cited as justification for using the Qur’an as a starting point, Acts 17 being perhaps the most significant. Regarding Paul’s reference to pagan poets, Schlorff concludes that Paul only cites them as evidence of the availability of general revelation, not to “prove doctrines that, according to the Bible, are given or understood only by means of special revelation” (121). Although he never mentions them directly, this conclusion places Schlorff in opposition to approaches such as the Camel Method or the Insider Movement. As mentioned earlier, Schlorff proposes adopting the kingdom of God as a primary theme in ministry to Muslims. The two main reasons he offers for this are the centrality of the kingdom of God in the Bible’s view of mission and the fact that Muslims often interpret Christian mission as political in nature. This proposal is perhaps helpful and reasonable, although it remains to be seen whether the Muslim concept of the kingdom of God as an essentially political entity will render this proposal just as challenging as traditional discussions of conversion to Christianity. On a related note, Schlorff clearly affirms the formation of churches, although he does not mention the church in relation to his proposal on the kingdom. Given some of the more radical, and ambiguous, approaches to the use of the kingdom paradigm in highly contextualized models, a clear statement on the priority of the church and its relationship to the kingdom would have been helpful. Missiological Models in Ministry to Muslims is a valuable resource for those engaged in reaching Muslims with the gospel. However, it will likely be a challenging read for those without basic knowledge of Islam and issues of contextualization. Interacting with a wide range of authors, Schlorff demonstrates his competency as a scholar while also writing out of many years of experience in the Middle East. Missiological Models in Ministry to Muslims may be obtained by going to the Pioneers website and purchasing it there. Doug Coleman is a missionary in Central Asia. He holds a PhD in missions from Southeastern Baptist Theological Seminary. This article was originally published at: 9Marks Website.